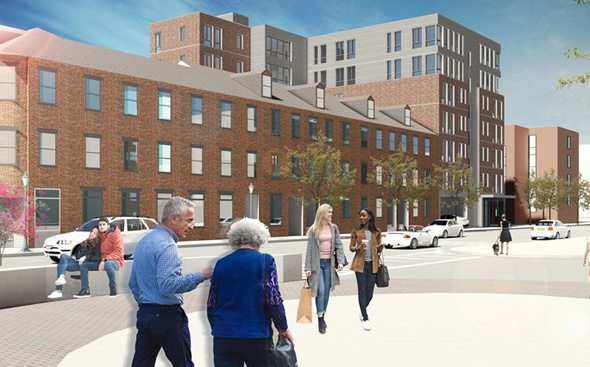 The Zoning Board of Appeals yesterday approved the East Boston Community Development Corp.'s plans for a seven-story, 42-unit apartment building behind its existing apartment building at 187 Sumner St. in Maverick Square. Read more. 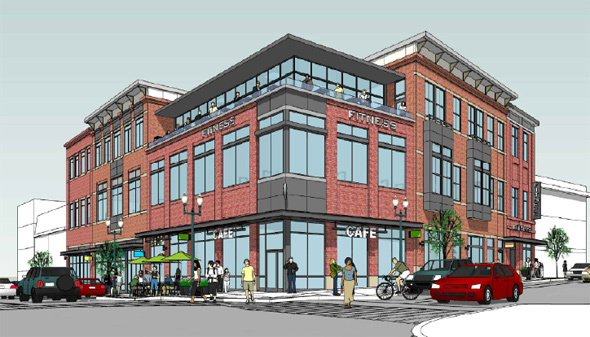 The Zoning Board of Appeal yesterday approved a developer's plan for a three-story retail and office building at 9 Chelsea St. that could feature a two-level restaurant with rooftop dining. Read more. Boston Police report arresting three out-of-towners in Maverick Square while looking for whoever put up those white-supremacist posters that went up a couple days ago in East Boston. Read more. Mayor Walsh, City Councilor Lydia Edwards, state Rep. Adrian Madaro and state Sen. Joseph Boncore issued a statement this morning: Read more. A federal judge today sentenced Cesar "Cheche" Martinez for his involvement in a local MS-13 gang based in Everett called Eastside Locos Salvatrucha. You may have read recently that the Blue Line is the exception to declining ridership on the MBTA's subway lines. Lisa Jacobson doesn't just read stuff like that, she lives it: Shortly before 9 a.m. today, she reported from a crowded Maverick Square station: Read more. 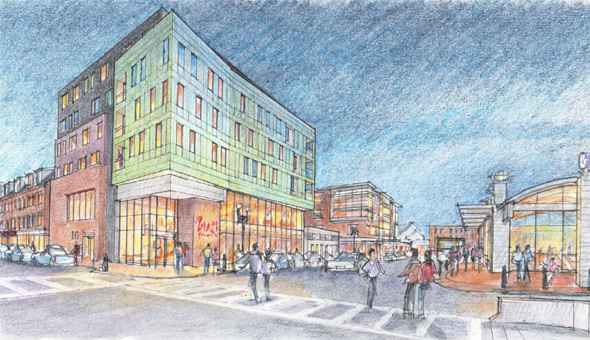 The East Boston Community Development Corp. has filed plans to renovate the four-story building it owns at 191 Sumner St. in Maverick Square and building a new seven-story, 42-unit building behind it. Read more. A Suffolk Superior Court jury today convicted Rogelio Alvarado, 23, of two counts of assault and battery by discharging a firearm and two gun charges for a 2016 attack at the Maverick T stop that sent two men to the hospital - only one of them the rival gang member he was aiming for - the Suffolk County District Attorney's office reports. Read more. UPDATE: The line is moving again, with "only" 20-minute "residual" delays. The T is reporting "delays of more than an hour" due to a busted train near Maverick that another train tried to push into the station, only according to one rider, that train broke, too. An hour? Couldn't somebody walk the length of the line in less than that? 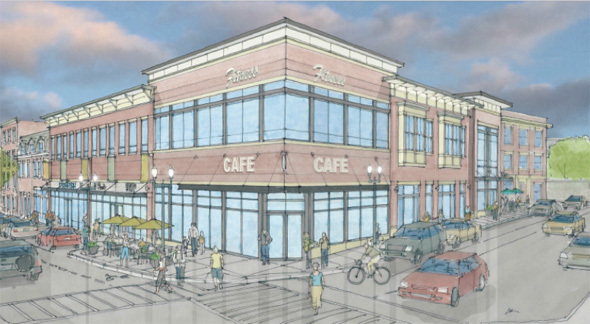 The Board of Appeals voted yesterday to let a developer proceed with plans to replace two bow-fronted buildings on Maverick Street with a new retail building, after determining a Landmarks Commission moratorium was based on a possibly flawed process. Read more. A four-story residential building at 4 Winthrop St. is going to need some major repairs before it even is ready for occupancy, Greater Boston Radio reports. Read more. A Blue Line train died at Maverick Square, but the MBTA says it's been disposed of and now everything's hunky dory. The Boston Preservation Alliance reports the Boston Landmark Commission tonight ordered a developer to hold off on tearing down two adjacent townhouses on Maverick Street built in the 1870s, for at least two years. Read more. A developer has proposed tearing down the old Rapino Memorial Home and two adjoining, and equally vacant, buildings on Chelsea Street at Maverick Street to make way for a two-story retail building. Read more. A man who didn't want to pay his $60.46 bar bill at Taco Mex in Maverick Square last month sent a BPD officer to Mass. General after biting him in the arm, police say. Read more. There are at least 2 raccoons living in the condemned building at the corner of Maverick and Orleans. They are creating quite a ruckus in the early morning hours. This is on the back side of the building. Sweet Jesus, that's a lot of raccoons.